Lexar is no stranger to USB Flash Drives and at CES 2015 they announced a whole slew of SuperSpeed USB 3.0 Flash drives that would bring new levels of performance as well as some new features to the Lexar product lineup. The new 2015 Lexar JumpDrive offerings include the JumpDrive P20, JumpDrive S75, JumpDrive S25, JumpDrive S35 and JumpDrive S55. 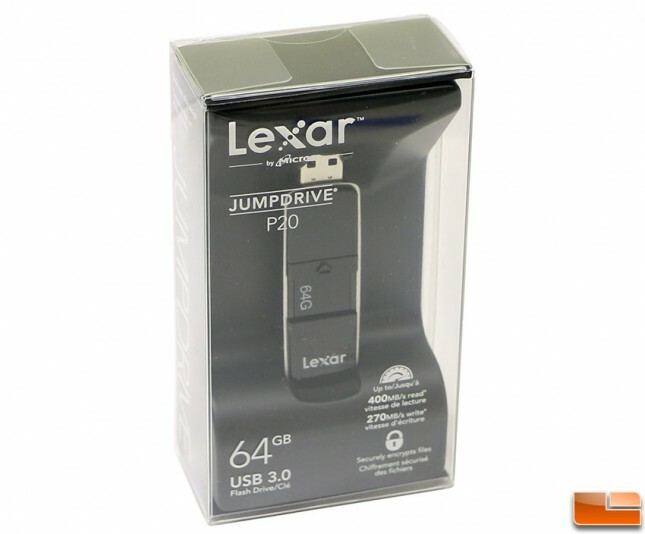 Today we get a chance to look at the Lexar JumpDrive P20, which is the premier drive and one of the fastest USB Flash drives on the market with speeds of up to 400 MB/s read and 270 MB/s write. Lexar claims that the JumpDrive P20 will allow you to transfer a full-length HD movie in under 40 seconds! The Lexar JumpDrive P20 is avaibleable in 32GB, 64GB and 128GB capacities and are backed by a limited lifetime warranty. It should be noted that all of the drives have sequential read speeds of up to 400 MB/s, but there is a difference on the sequential write speeds. The Lexar JumpDrive P20 32GB is rated at up to 150 MB/s on the write speeds whereas the 64GB and 128GB models are rated at up to 270 MB/s. This is likely the reason Lexar sent over the JumpDrive P20 64GB model for us to review and it runs $46.95 shipped right now over at Amazon. This breaks down to being about $0.74 per GB for the 64GB model. The 64GB models costs 18% more than the 32GB drive, but has 80% faster write performance making it the clear choice for enthusiasts or prosumers that are looking for a solid performance oriented drive. 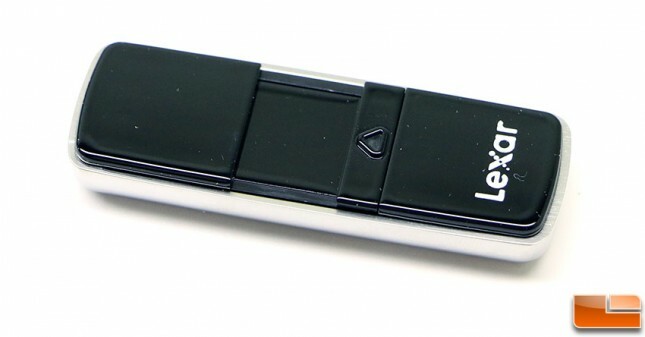 The Lexar JumpDrive P20 USB 3.0 Flash drive is what we would call a slider model. 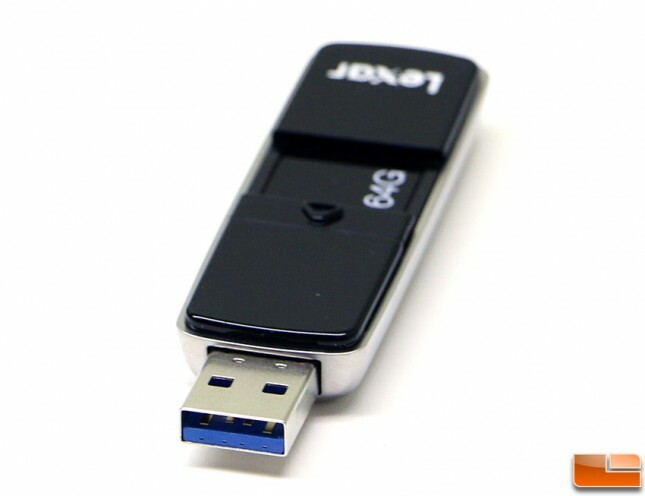 It is designed so that you use your thumb to extend or retract the USB 3.0 port. The build construction feels fairly solid thanks to the metal lower enclosure, but the top black portion is made from plastic. We couldn’t find any measurements for the JumpDrive P20 on the Lexar website but our dial calipers showed that it was 63.9mm x 22.5mm x 10.6mm (L x W x H) in size. This capless design means that the end of the USB port is left open at all times. The middle of the thumb drive has what looks like a play button arrow in the middle that adds some texture for your thumb to press on and also doubles as the white LED activity light for the drive. The slider design seemed to work fine for us, but was very stiff when we started using the drive. It will likely become easier to slide after it is used for a period of time. The back of the Lexar JumpDrive P20 features a metal housing that has a place for a key ring loop to be placed. Lexar includes small key ring loop in the retail packaging if one is needed. All of the Lexar JumpDrive P20 USB 3. 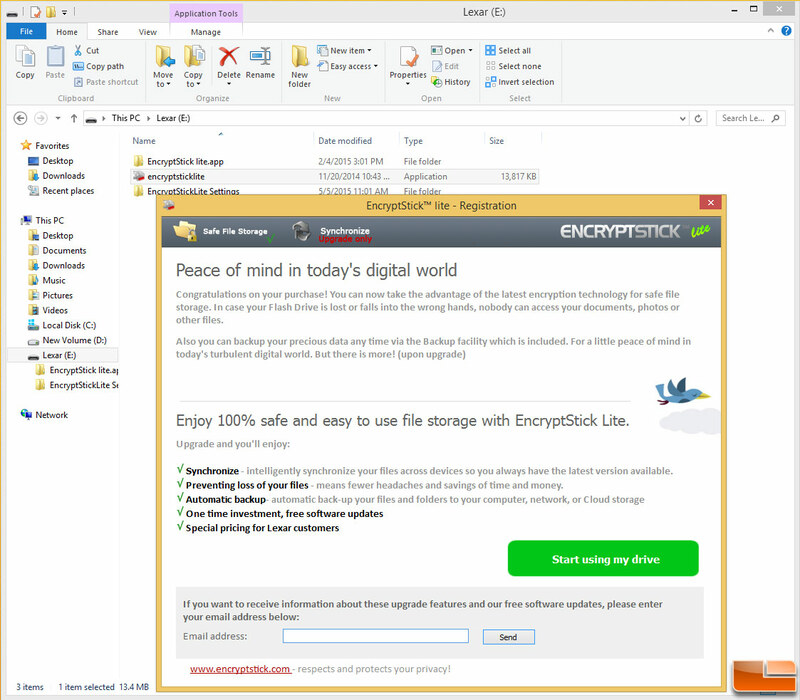 Flash Drives come loaded with EncryptStick Lite software. EncryptStick Lite turns your Lexar JumpDrive USB flash drive into a highly secure, private vault where you store the files you want to protect: photos, music, videos, documents, in all file types. 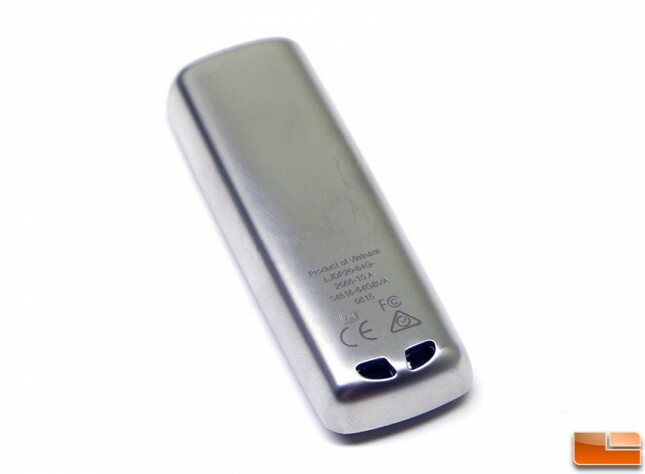 The EncryptStick Lite encryption engine uses fast and strong AES algorithms (256-bit AES ciphers). EncryptStick Lite is registered and government approved, and is FIPS 140-2 compliant. Let’s take a look at the test system and then run some benchmarks on this drive!